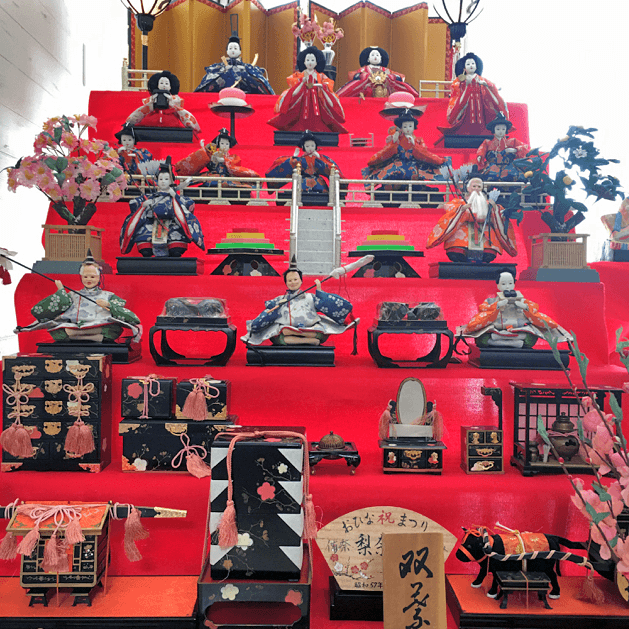 A holiday and festival called Hinamatsuri (雛祭り, or Girl’s Day/Doll’s Festival, is celebrated on March 3rd. 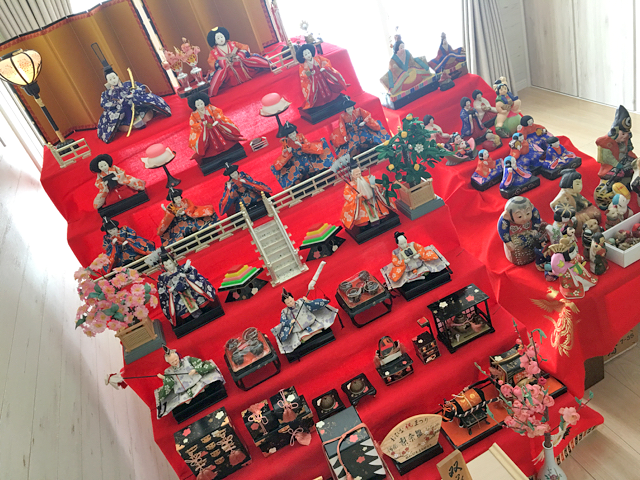 Before the holiday takes place families set out a display of ornamental dolls (雛人形 hina-ningyō) representing the Emperor, Empress, attendants, and musicians (of the Heian period). While I’ve seen these dolls in various settings, I’d never really learned the meaning behind it. As my Japan family recently set theirs up, it seemed like a good opportunity to document the occasion! From sometime in February to March 3, the dolls are displayed, resting atop a platform of seven tiers. First the platform is assembled, and then covered by red fabric/carpet with rainbow striped at the bottom (dankake (段掛) or hi-mōsen (緋毛氈). Platforms for the dolls are placed reflecting a very specific order, which varies somewhat depending on region ( Kantō and Kansai). Various miniature tools, and furniture are added such as chests, a mirrors, and other items you’d find in the palace. I found these old setup directions which weren’t much help, a bit dated judging by the hairstyle. 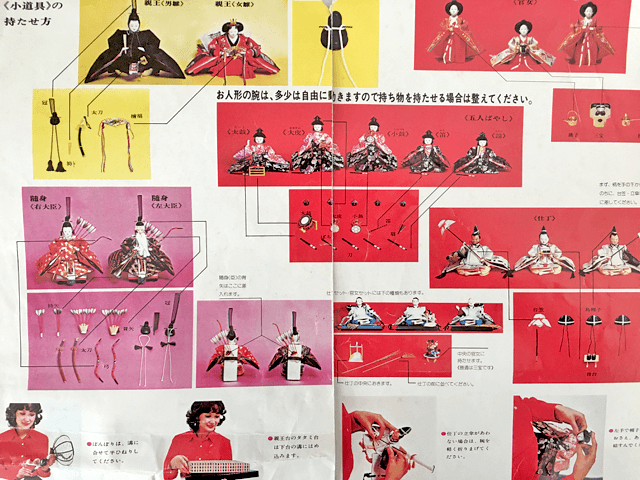 Once the dolls have been placed, they each receive their rightful accessories including instruments for the musicians, swords and bow/arrows for the ministers, crowns, fans, and more. Here you can see the before & after of the old minister (daijin) getting his hat, weapons, and accessories. When complete, you end up with a rather impressive display. Some doll sets are purchased new, while many others are handed down over generations. The dolls are put away promptly following the March 3rd holiday, as a superstition surrounds those being left out for too long! My family also had a small side table displaying some older style ceramic dolls. That’s all for now, check back for a post on the Hinamatsuri itself, which like other Japanese festivals is about to include traditional food and drink to accompany the day.